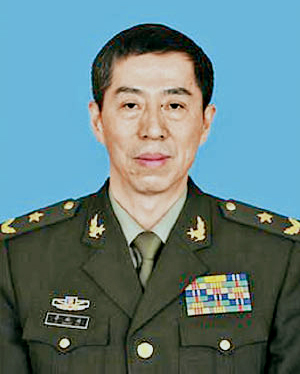 Lt. General Li Shangfu will replace General Zhang Youxia as director of the Equipment Development Department in the Central Military Commission (CMC), according to a Sept. 18 announcement in the Communist Party’s official military newspaper. Li, 59, has a background in developing advanced military and space technology. In February 2016, he was appointed deputy commander of the People’s Liberation Army Strategic Support Force. Li was also formerly a deputy director of the Chinese Lunar Exploration Program and the Chinese Manned Space Program. Why it matters: Chinese leader Xi Jinping has been appointing new generals to top military offices at a steady clip since August, consolidating his control over the military come the 19th Party Congress on Oct. 18. Although Xi appeared to have brought the military under his sway at a grand parade in 2015, he still faces resistance and sabotage from many Jiang faction loyalists in the military.